Find shuttle and parking including different places to eat in each Concourse at Baltimore-Washington International Airport and get around easier. As a major city in Maryland, Baltimore has a long history of seafood, nationalism, and Civil War attractions, all of which can easily be explored the moment you arrive to Baltimore-Washington International Airport. Enjoy the fine cuisine at the various restaurants housed inside while you wait for an adventure on the outside. Make every moment count by taking in one at a time, whether it’s something you have to do or want to do. Make your vacation or business trip easier by having your ride ready when you come back. Located along Highway 170 after the 195 exit is two incredibly efficient long-term parking lots called Economy Lot B and A. With rates that are low each day, the price is perfect for business travelers. If you’re just planning a quick trip, leave your car at either Express or Daily Parking, both of which are located at 170 and Elm Road. If you’ve got some time to kill between flights, consider walking along the BWI Cardio Trail, a 1K round-trip walk located along the public side of the terminals upper floor. 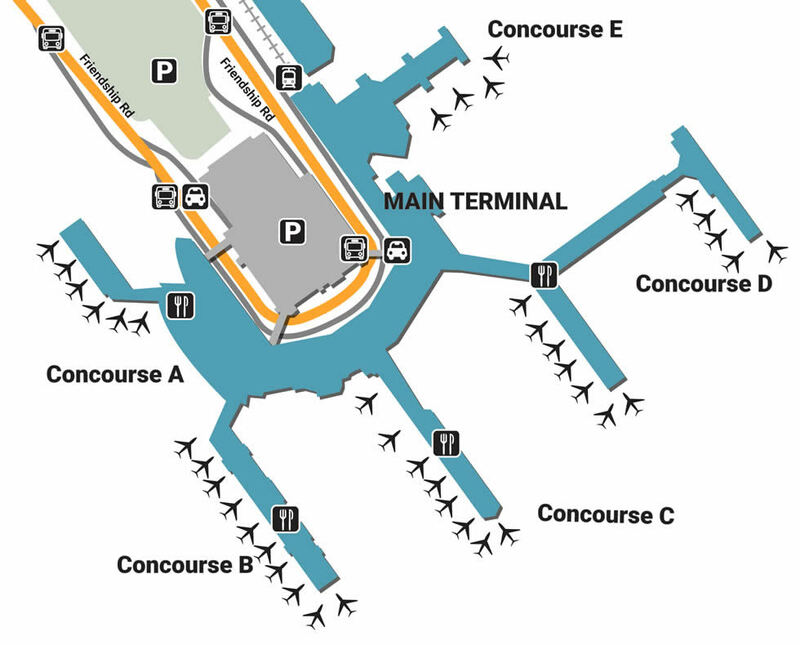 There is another one that loops around Concourse A and B. Stimulate the mind after your walk, checking out BWI Observation Gallery, located across from the upper level’s security checkpoint. Featuring exhibits and galleries on real-life rockets and aircrafts donated by NASA, the free museum is a great way to get to know a growing art. Take a break from the mundane and splurge a little while you wait. A fantastic way to do this is to explore the many shopping opportunities located across the airport, whether it’s the upscale cosmetics at Benefit, located at the C Concourse, or the eco-friendly fragrances at The Body Shop (Concourse A/B). Lovers of the art of writing should definitely check out Pen & Prose (Concourse D/E), a unique shop that offers quality writing paper, corporate accessories and special pens that makes the dull act of sitting on a plane fly by. If you find yourself stuck in a rut, know you can always make things easier with a bit of comfort food. Grab a bite to eat in the event of a layover, enjoying the fresh ingredients of Nature’s Kitchen Cafe. Located in the A/B Food Court, the eatery will not only leave you full, but energized. Enjoy a local treat by heading over to The Greene Turtle, located at Concourse D - a staple of Maryland for over 3 decades, the restaurant is especially known for its savory wings and hearty cheesesteaks.